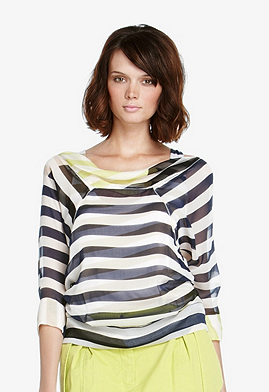 Love this DvF top, why have just black stripes when you can have black and yellow! It's like mixed printed but not! Buy for the sale price of $172. I love that top! the angles are lovely! I'm loving your blog a ton! I'll def pop back in to see whatelse you post!